-Automatic sewing and automatic cutting function freely switch. 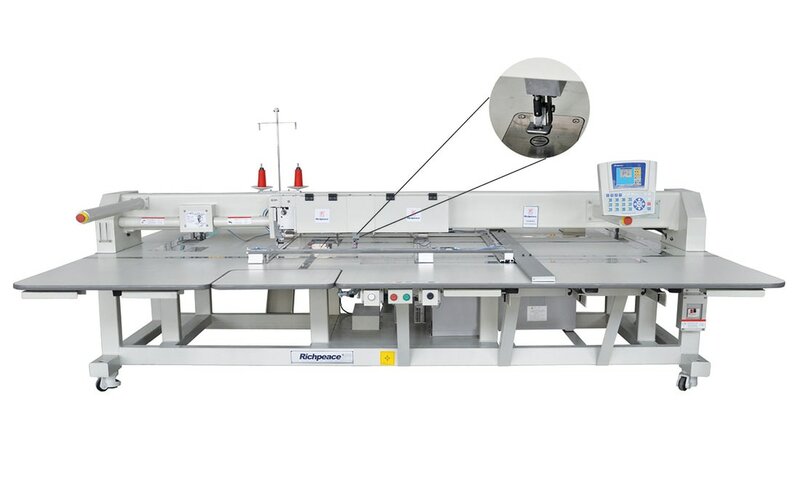 -Linear cutting speed of 4-6 m / min. -After the sewing process is complete, according to the size of the software pre-designed route, cutting work synchronously, precise and efficient. -Programmable control net side, repair the angular width and length. ​-Straight knife to cut the track cutting, accurate.